In the world of Ogre, most of the weapons used are precision nuclear devices designed to leave behind minimal fallout and other long-term radiation aftereffects. These devices produce small, fixed amounts of explosive power that vary little from detonation to detonation. On the battlefield, they either work or they don't, with no room in the middle for reduced yields. Cruise missiles and other large nuclear weapons, on the other hand, are multistage devices that require precision timing of nanoseconds or less to produce the expected detonation yield. When that timing fails and the detonation yield is smaller than expected (usually by one or more orders of magnitude), this is known as a "fizzle." A fizzle can result in the weapon not detonating at all, detonation of the primary fission stage without igniting the secondary fusion stage, or a reduced yield from the secondary (and possibly tertiary) stages. These optional rules supplement and/or replace parts of 10.00 CRUISE MISSILES in the Ogre Sixth Edition or Ogre Designer's Edition rules. Causing Fizzles. Any cruise missile (or other large nuclear weapon, like Engineer suitcase nukes) can fizzle, but they are unlikely to do so unless damaged in some way (e.g., interception attempts). The base fizzle number for any large nuke is 3; roll 3d6 when a cruise missile detonates, and if the number rolled is less than or equal to the fizzle number, the warhead fizzles. 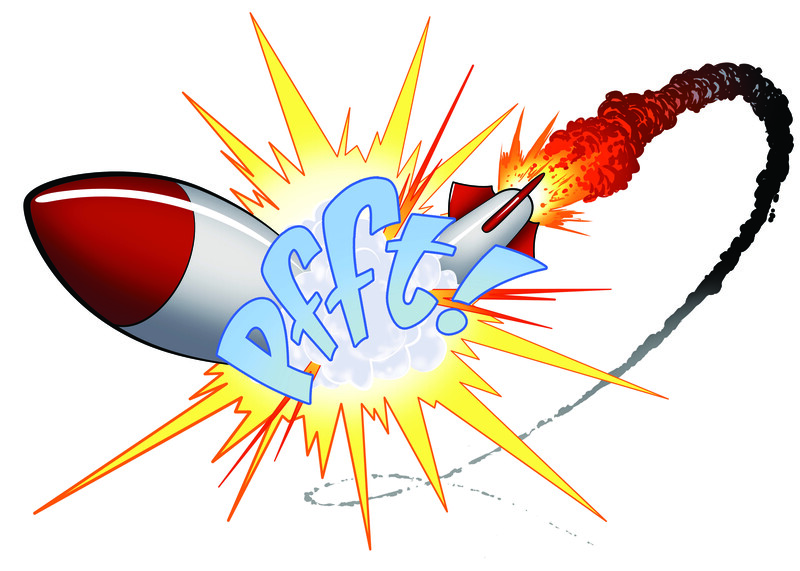 In the event a fizzle does occur, the power of the detonation is usually reduced, but occasionally a "fizzle" can still result in a full-power detonation. Successful and near-miss interception attempts increase the fizzle number, and enough near-misses can guarantee a fizzle even if the missile isn't intercepted. For every interception attempt on a cruise missile that misses by 1, add 1 to the fizzle number. In the event of a successful interception (10.03.3), add 5 to the fizzle number and roll normally for premature detonation. If an intercepted missile does not detonate prematurely, a fizzle does not come into play. Fizzle Effects. When a cruise missile fizzles, it can have one of four possible effects: no damage (detonation failure), it can cause the equivalent of an Ogre missile attack on the hex (second-stage ignition failure), or it can cause a reduced cruise missile explosion. There is also a very small chance that a fizzle can still result in a normal-sized detonation. Divide the fizzle number by 5 and round down to get the fizzle modifier, then roll 2d6 and subtract the fizzle modifier. Consult the following table to determine the results. Detonation Failure. If a cruise missile fails to detonate, the result is the same as if it were shot down normally. No damage occurs. Second-Stage Ignition Failure. If the second-stage fails to ignite, the cruise missile acts as a strength 6 attack against the detonation hex. The hex itself takes a full-strength attack per 13.01, and all units in the hex takes damage from spillover fire per 7.12. This does not cause fratricide (10.02.1), and it cannot be combined with any other attack. All units outside the detonation hex are treated as though they were double the distance from the explosion (before terrain modifiers). Fratricide (10.02.1) around a reduced cruise missile explosion is reduced to three hexes (instead of the standard 6-hex radius). A small crater is formed unless the cruise missile detonated over a water hex. Small Craters. Reduced cruise missile explosions create small craters, which significantly damage but don't totally destroy the hex in which the detonation occurred. All units treat the hex as rubble and must also pay 1 additional MP to enter the hex (minimum movement applies). 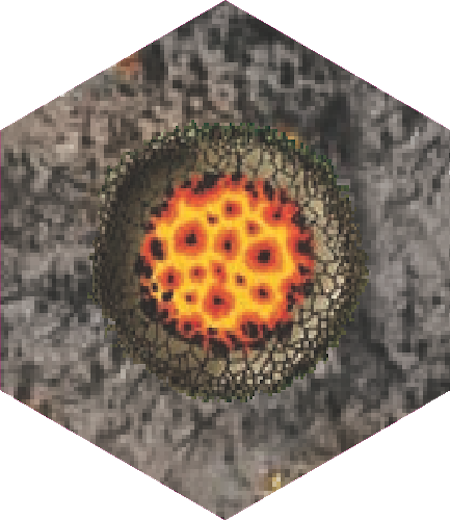 A second small crater result in a small crater hex creates a normal crater for game-play purposes, and it should be replaced by a regular crater overlay. Fizzle Example. A cruise missile is fired from an onboard missile crawler and passes in range of 2 GEV, 5 squads of INF, 1 MSL, and 1 HWZ before reaching its detonation point 9 hexes from the launch hex. The GEVs need to roll a 12 to intercept the missile, and everyone else needs to roll an 11+. The GEVs roll a 10 and an 11; since the latter only misses by 1, the fizzle roll is increased to 4. The INF roll 9, 10, 5, 3, and 10; two of those miss only by 1 so the fizzle roll is increased to 6. The MSL rolls an 8, and the HWZ rolls a 4, both missing. When the cruise missile detonates, a 6 is rolled on 3d6, indicating that a fizzle has occurred. Since the fizzle roll was 6, the fizzle modifier is 1 (6/5 = 1.2, round down to 1). Rolling 2d6 results in a 9, and subtracting 1 gives an 8 as the final result for a reduced cruise missile explosion. The hex becomes a small crater as a result of the explosion. The Ogrezine II PDF, combining all of these articles with additional new material, will be available on Warehouse 23.